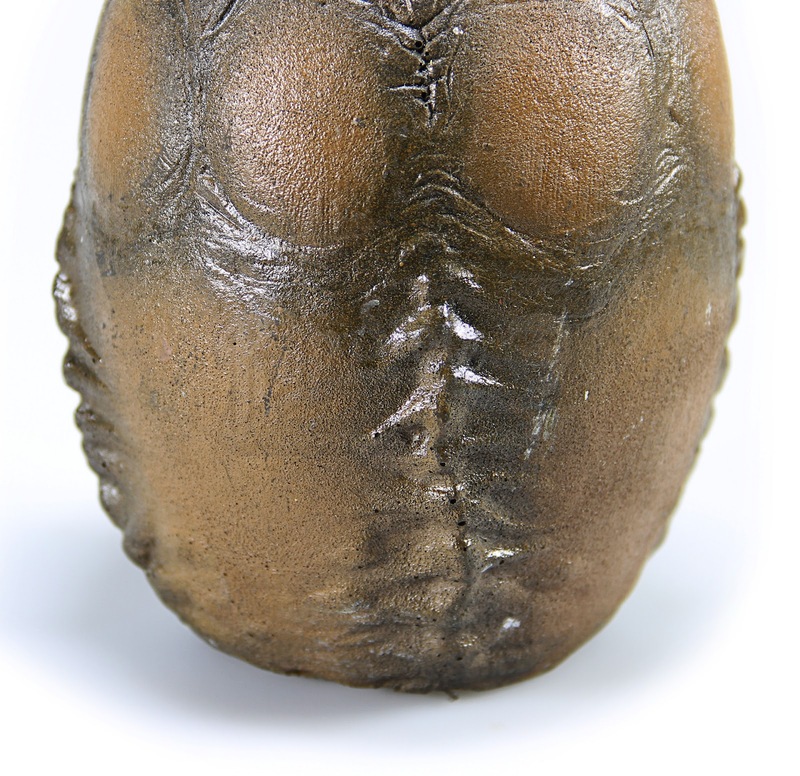 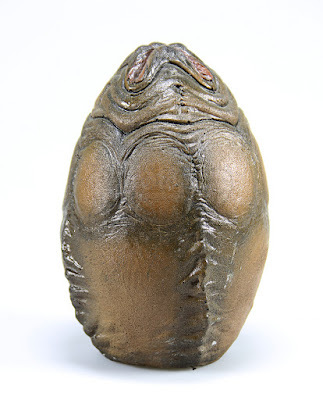 Propstore: A miniature xenomorph egg used in the sci-fi action crossover Alien vs Predator. 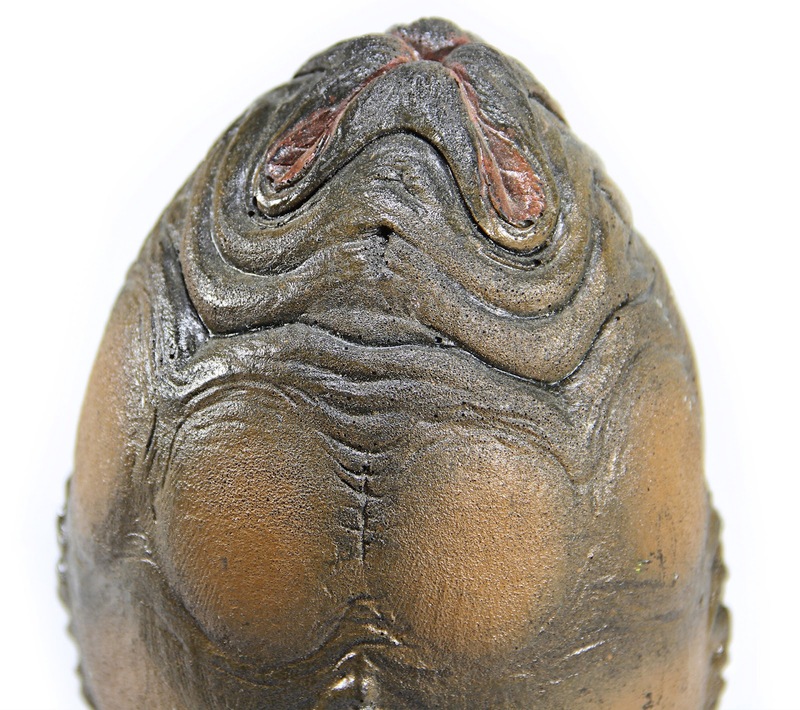 Brought together by the ailing John Bishop Weyland (Lance Henriksen), a team of archaeologists and explorers head for a pyramid submerged in the ice of the Antarctic – not realising the horrors within, and the beasts coming from space to fight within its maze-like hallways. 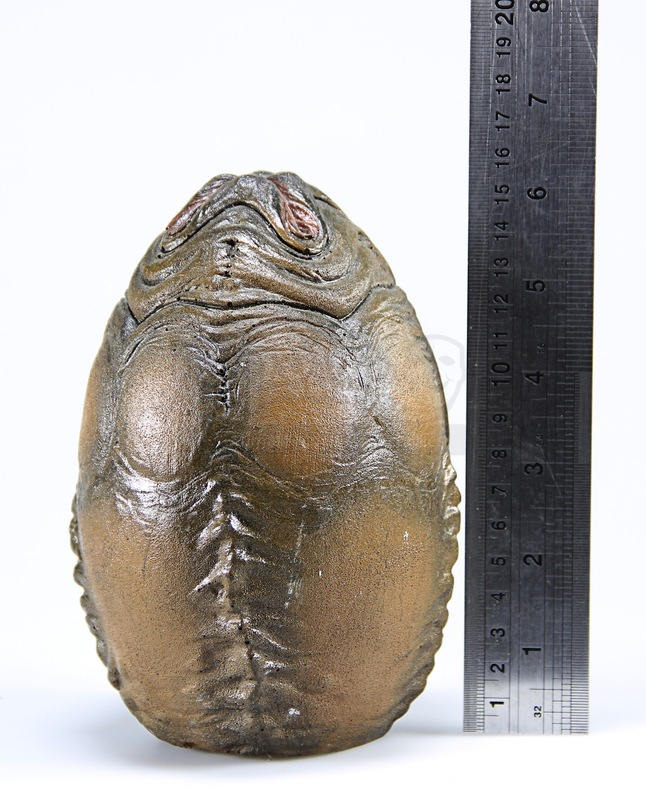 This egg and others like it were used for the miniature sequences in which we see the xenomorph eggs lined up within the bowels of the predators’ Antarctic temple. The egg is made of white resin which has been given a leathery brown finish to replicate the appearance of the full-scale eggs. Two screw holes are present at the bottom where the egg would have been fixed to the set during use. 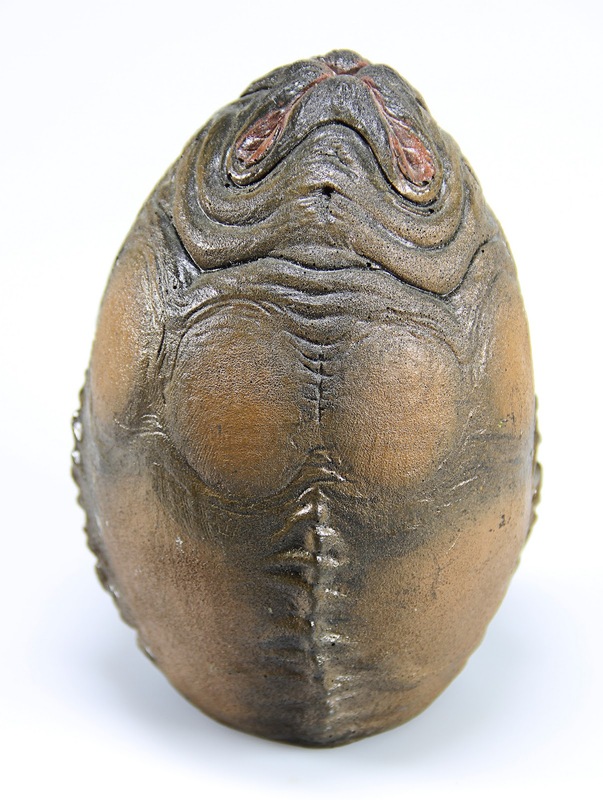 Displaying some minor wear from use and time spent in storage, the egg remains in overall very good condition.